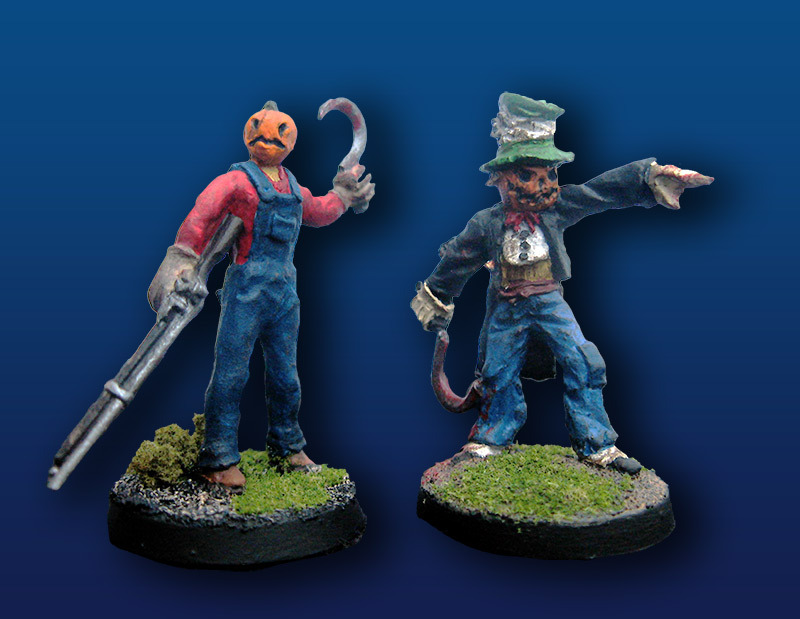 Captain Bix Max is one of several Field Commanders of the Sinister Scarecrows. Before Silas trapped his soul inside an animated scarecrow host, Max was an officer in the US Marine Corps stationed in Louisiana. Bix Max now faithfully serves his new Commander on and off the battlefield and shares Silas’ desire to wipe out the Wicked Werewolves. Crusoe was a Beng-Arii Syndicate Assault Rifle Specialist until killed in battle against the Sinister Scarecrows and resurrected into serving the very man who slew him. Crusoe is now an invaluable soldier on the battlefield – the first of a new breed of scarecrows armed with ranged weaponry. Crusoe enjoys shooting birds when enemies aren’t in his crosshairs.